Dates and addresses of all events taking place in Italy. No event is too big or too small to be a Happing. 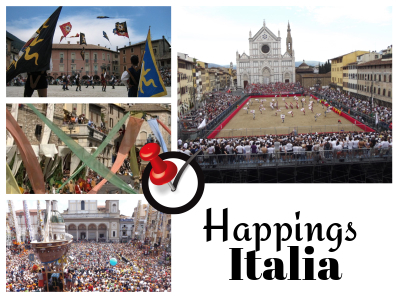 In this section of the site, you will find all the events taking place in Italy grouped by region and department. For each department events are grouped into categories and sorted by event date.